Proven men’s hair loss treatment solutions & hair restoration for men with thinning hair & male pattern baldness. Beautiful women’s hair restoration solutions to give you the confidence live life without limitations, and be yourself again. Advanced, clinically proven hair loss treatment and prevention programs for men and women with thinning hair. 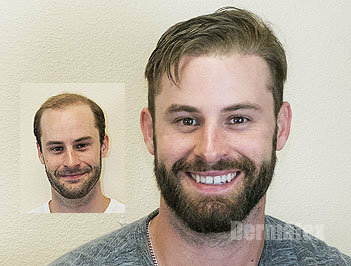 Dermatex Hair Restoration professionals have been helping men and women with thinning hair and hair loss in the San Diego and Orange County region for over 27 years. Whether its chemotherapy, alopecia, trichotillomania, genetics or any other reason that’s causing your hair loss, we will talk one on one about what’s happening and what you can do about it. With two locations to serve you, Dermatex Hair Replacement professionals in San Diego and Orange County, California have the expertise and knowledge to provide you with the most sophisticated and natural-looking hair pieces, hair extensions, wigs, hair transplants and more to get you looking good and feeling your best with restored confidence. Do you suffer from hair loss or thinning hair? Hair loss can be caused by a variety of factors, both genetic and medical. 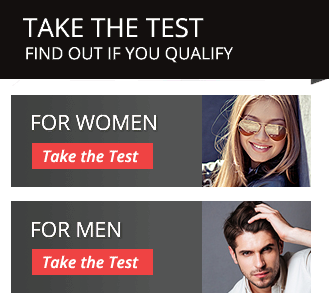 Our quick and easy online hair restoration test only takes a few moments and gives our specialists enough information to begin to assess whether non-surgical hair replacement or hair loss treatments may be right for you. 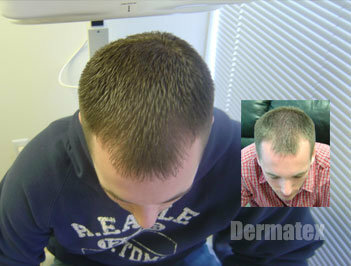 Dermatex Hair Replacement creates customized hair loss programs for every client and helps both women and men. Simply choose the appropriate test above to get started. If you are experiencing thinning hair or hair loss and live in San Diego or Orange County, California areas, our specialists are here for you. At Dermatex, we combine years of personalized non-surgical hair replacement and hair restoration expertise with unparalleled artistry to offer you the most natural-looking hair loss solutions to give you the confidence and great looking hair you deserve. We are committed to providing the highest level of personalized service in a private, comfortable and caring environment. CONTACT US NOW TO SCHEDULE A FREE, PRIVATE CONSULTATION. Dermatex Hair Loss Replacement and Restoration in San Diego and Orange County, California has been in business for over 27 years. Offering men and women across the California region the latest, most natural hair loss solutions, hair replacements, hair restoration procedures, and hair loss treatments. Are Men or Women Prone to Hair Loss Causes?